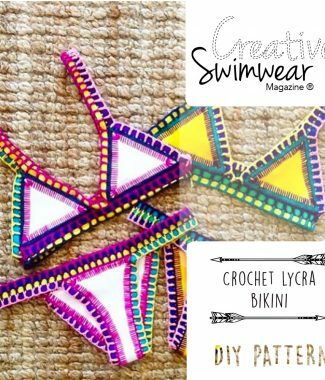 Pineapple Crochet Bikini Pattern - Creative Swimwear Magazine and Trends ! Creative Swimwear Magazine and Trends ! If you own a Swimwear Brand or you just love Bikinis, this is the blog for you! This month you can also download our Swimwear Magazine for FREE! Make yourself this beautiful crochet bikini design, charts and written instructions provided! 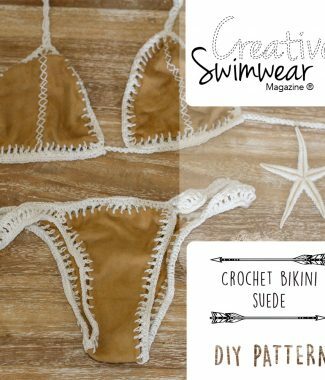 After Purchasing You Get: One 06 page crochet bikini pattern that you digitally download as a PDF file so you can start your project immediately! The PDF crochet pattern provides full color step-by-step illustrated instructions. A PDF reader is required to view and print the files (example: Adobe Reader or Preview for MAC). The download link is received immediately after the transaction is complete. Print copies are NOT available. For detailed information and answers to the most common questions, be sure to read the Faq’s related to the crochet bikini and swimsuit patterns sold at Creative Swimwear. Click here for more patterns! Creative Swimwear 2017 ® All Rights Reserved.